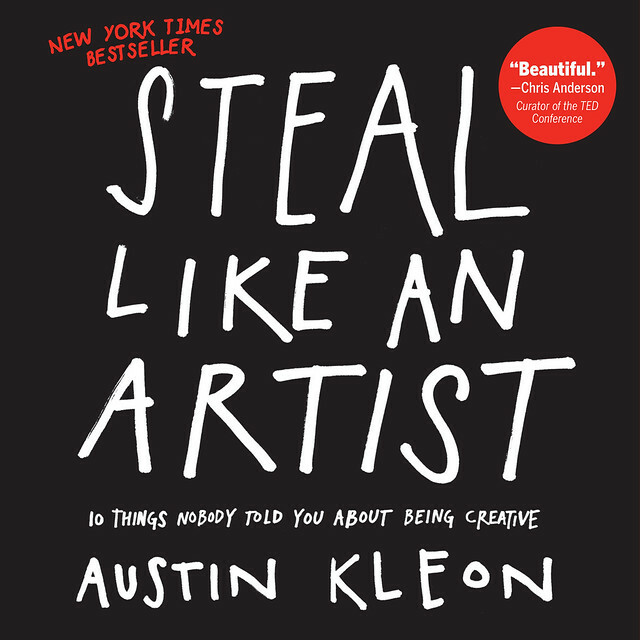 So This past week I finished reading The book by Austin Kleon called how to steal like an artist. The Book lists 10 things nobody told you about being creative. After watching Austin’s ted talk I have always been interested in what else he has to say. The book is only 140 pages with short golden nuggets that you can easily apply to your creative life. If after watching the Austin’s ted talk has you more interested I definitely recommend getting your hands on a copy of this book. When I was in barnes and noble I picked it up and I had to force myself to stop reading it before I got home.